The centres of specialised counselling in Germany are NGO´s which offer advice, ensure counselling through coordinated operations and support for the victims of human trafficking. Many of them are working gender-specifically because of their origins and their financing, although many of them do support men as well or at least can recommend an adequate counselling centre. 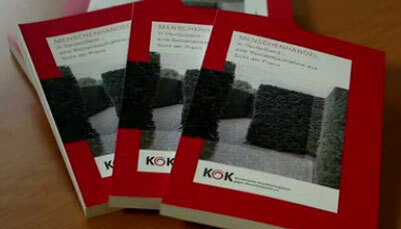 The majority of KOK e.V. members work on human trafficking regarding sexual and labour exploitation. The counselling centres help to make the clients aware of their rights, their strength and their self-determination. The counselling is always voluntary and can be offered in the client’s native language. The counsellors work with professional discretion and treat all information with great responsibility. 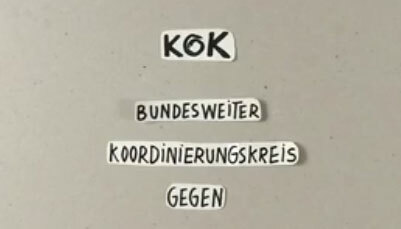 In the following you can find the member organisations of the KOK in alphabetical order. Federal state and city are mentioned, further information can be received by clicking on the name of the desired organisation. In case you are looking for an organisation close to you, you can find it on our map of Germany.